Articles related to new technologies in the automotive world. Catch up on the world of mechanics. Diving online, we have found a new concept when managing the maintenance of our vehicle. It is an integral maintenance service, similar to the one that has already been applied at the business level but with several differences, the first is that in this case it is also applied to individuals, and the second is that the integral maintenance is not performed by a franchise, this maintenance is done through different supervised local workshops that cover all areas of a comprehensive service. BP laboratories carried from 5 years ago looking for a new technology that would improve the car's performance. During the process they realized that the dirt was the most important in terms of performance impoverishment refers factor. The transmission system or automatic transmission is in charge of changing the gear ratio without user intervention when the vehicle is moving. In this way, the driver need not make the change gear manually. In such automatic transmissions, the gear ratios are obtained by epicyclic gears or planetary while in the manuals are performed with the called parallel gears. How do automatic gearboxes arise? The first automatic gearboxes arise in 1940, and its goal was twofold: to increase the number of users who could drive, and expand the market for manufacturers. In fact, it was not automatic transmissions 100%, but changed autonomously when the vehicle was already moving. In addition, they are working with a simple hydraulic oil and not with ATF, which did not develop until years later. Today, the automatic gearbox predominant is hydraulically operated by a fluid coupling or a torque converter and a set of planetary providing the required multiplication. One of the most important components of the automatic transmission is the oil pump which supplies lubricating fluid flow to all components and gears. How an automatic change work? The differences from a manual are pretty obvious. 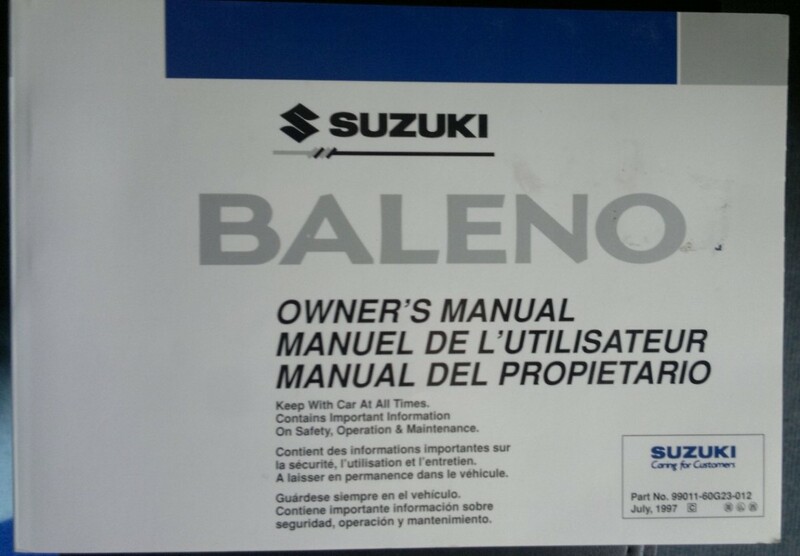 While in the manual, the driver must depress the clutch and move the lever on the automatic transmission This operation is performed by the vehicle by a control unit that detects pressure of the gas pedal or brake, and acts automatically to select and the proper gear. 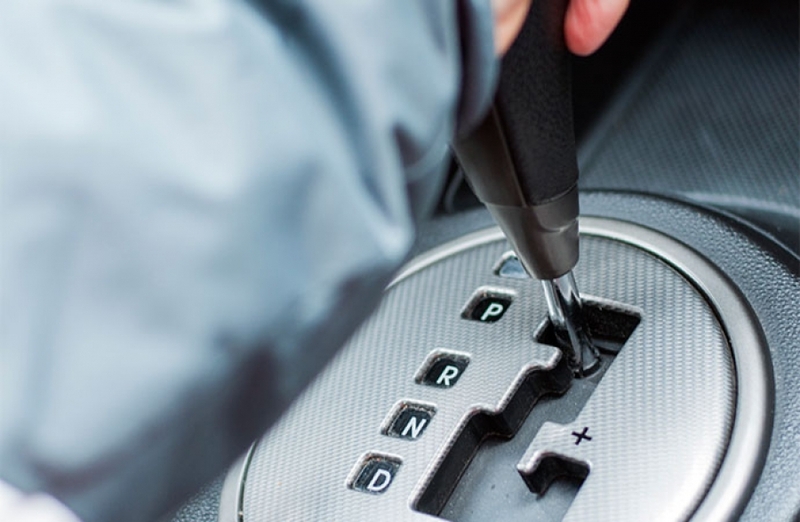 What elements make up an automatic gearbox? Bands of friction material for pressing planetary part of the game. Oil pump which pressurizes, lubricates and cools. 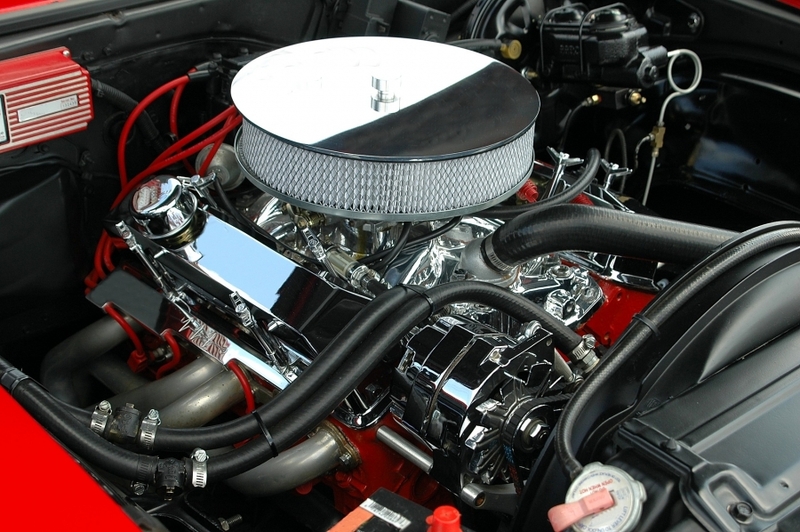 Torque converter: Mounted in the first automatic transmissions, it is formed by a round housing that comprises two turbines, one connected to the engine and one to the gearbox. When the motor rotates, oil is driven projecting into the turbine. The higher the speed more oil will force that will cause the turbine to rotate the vehicle and start driving. Today it is one of the most reliable in terms of quality and price boxes, and is used in high-powered vehicles. Piloted manual gear box: It is a mix between a manual gearbox and an automatic, and is called CMP. It incorporates an internal clutch that automatically triggers the fly. Even with no clutch pedal, should lift the accelerator pedal to the change occur to avoid abrupt change of gear. As a result we get a very similar to the manual transmission but without pressing or change gear response. Gearbox continuously variable: It is similar to the torque converter system, but incorporating a development system consisting of two pulleys connected by a chain that transmits engine power to the wheels of the box. Transmissions differ in the diameter on which the chain moves. Its main advantage is that hardly produces retention, so once launched does almost lack accelerate to maintain speed, resulting in a low fuel consumption. Direct-shift gearbox: It consists of two automatic gearboxes in one. The first is responsible for the odd gears and the second of the pair, thus changes occur in a matter of milliseconds, much faster than it could change a driver manually. When engaging a gear box, the other is ready to enter the next, so that more smoothly driving and improved consumption is achieved. 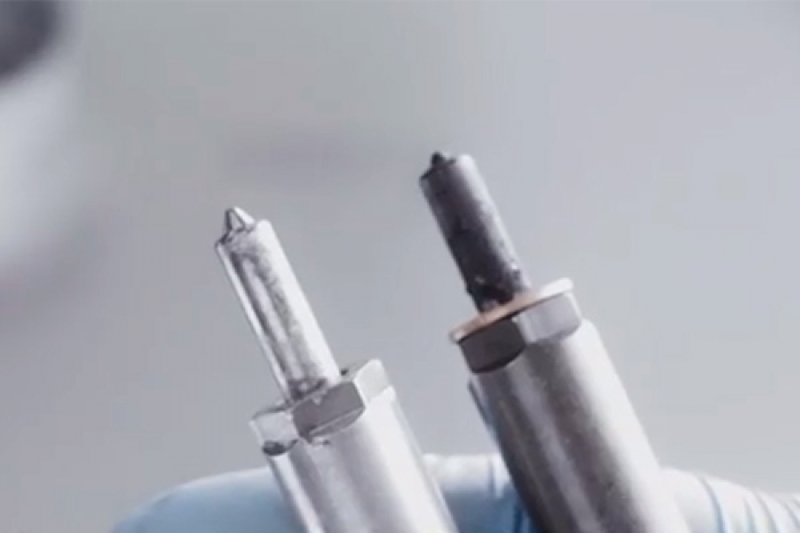 It is a fundamental for the proper operation of the vehicle occurring element, it needs maintenance, which involves replacing transmission oil (ATEF) and filter. This must be done with a special machine that makes a complete transfusion fluid for the new ATF into the box changes completely clean and must be entrusted only to professionals. 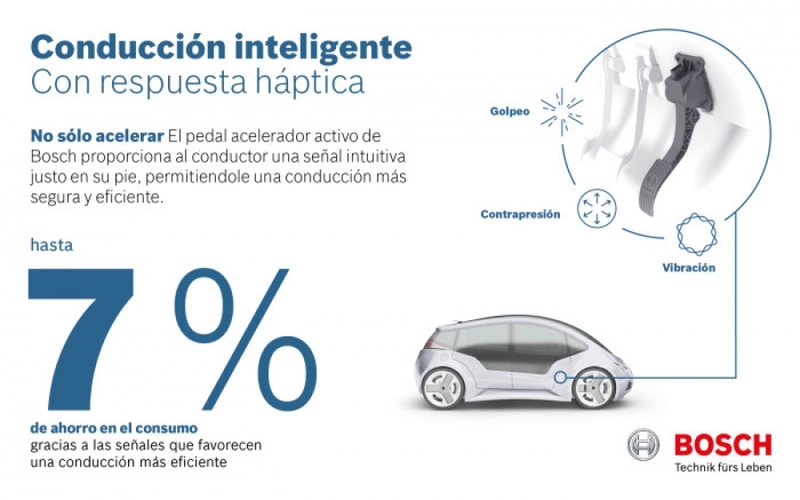 In Spain, the automatic still not imposed as preferred by drivers. The last report made by Ford Motor Company tells us that the 83% of European drivers prefer a manual change, and in Spain this figure rises to 95%. Therefore, if we have one, we must go to specialists in the sector to ensure correct repair and / or maintenance of the gearbox. It is well known that proper use of the accelerator pedal can help reduce the consumption of our vehicle but the German manufacturer Bosch wants to go one step further by helping actively. As we all know excessive and unnecessary acceleration increases the consumption of our vehicle but how to know when we are going through the accelerator ?, from Bosch we make it easy thanks to the active accelerator created by Bosch. This accelerator will warn us by means of a slight vibration when the system detects that we are accelerating more than necessary, in this way we will be able to keep the consumption of our car at bay and therefore the pollutant emissions of the same. But the advantages of this asset accelerator does not stop there. The system can be connected with many other safety features of the car, so you can warn other situations that may pose a risk. One of these may be the proximity of a sharp turn, which detects through the navigation system, lane departure or is accelerating too and no risk of collision with the vehicle ahead. It can also be a very useful element in hybrid cars as, in addition to the functions already mentioned, allows the driver to know when the combustion engine is going to start, warning him to reduce the acceleration so that it does not occur a sudden acceleration. The different types of signals that the accelerator emits allow the driver to know what type of warning he is referring to so that he can travel much more safely. 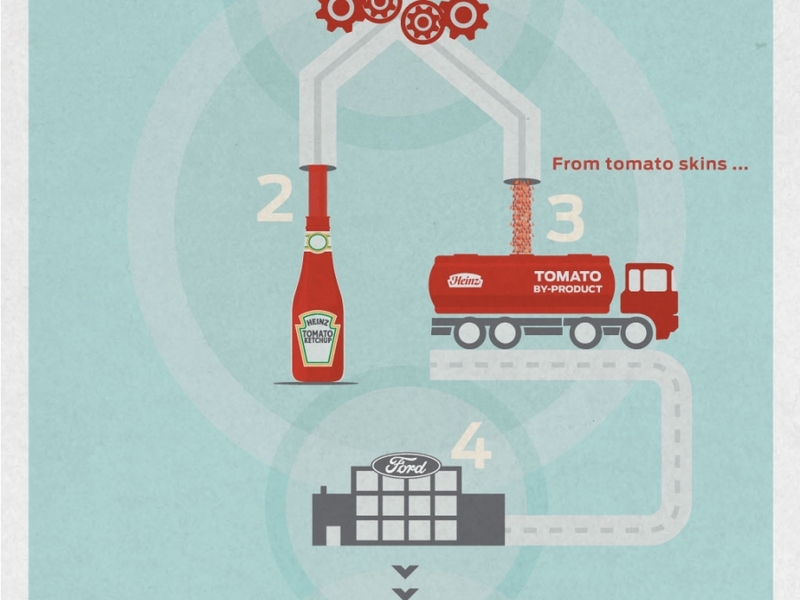 Two years ago, researchers at Ford and Heinz are investigating the use of fibers in developing tomato sustainable materials for use in the manufacture of vehicles. Dried tomato skin could become a future cover or wiring compartments for coins and other small items in Ford cars.